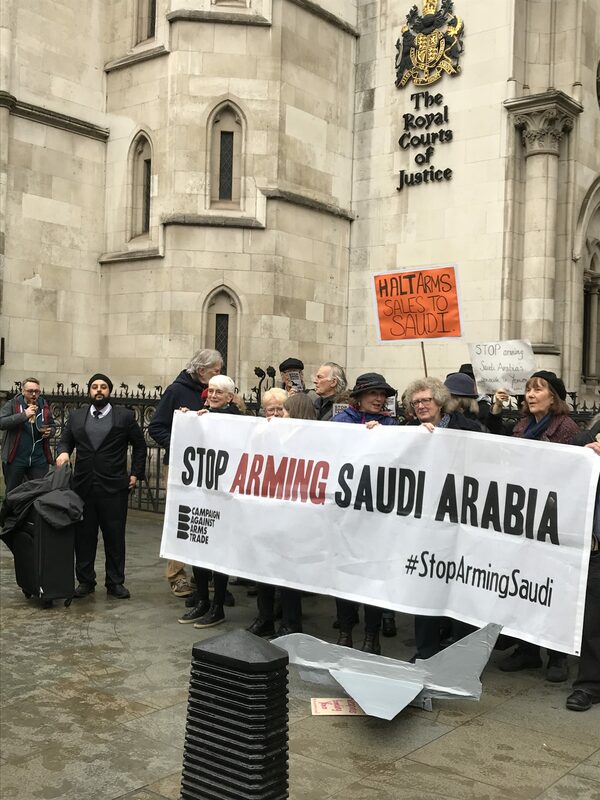 The Court of Appeal will today begin hearing a landmark appeal brought by Campaign Against the Arms Trade (CAAT) against the Secretary of State for International Trade challenging the government’s ongoing failure to suspend arms sales to Saudi Arabia for possible use in the conflict in Yemen. The hearing will take place over 3 days and could impact on the sale of billions of pounds worth of weapons sold to Saudi Arabia and which have contributed to what the UN has called the world’s worst humanitarian crisis. According to CAAT, the conflict in Yemen began around March 2015 and a coalition of states led by Saudi Arabia launched a military campaign in support of pro-government forces. The United Kingdom has granted licenses (and refused to suspend existing licenses) for the supply of a range of military equipment and technology to Saudi Arabia for use in Yemen, including ordnance for air strikes, gun turrets, ammunition, military communications equipment, components for military helicopters and jet aircraft. The humanitarian impact of the conflict has been staggering with critical civilian infrastructure, including hospitals, medical clinics and schools, destroyed by coalition air strikes. There is also a widespread cholera epidemic, thousands of people have been killed and an estimated 10 million Yemenis are suffering from food insecurity. Sue Willman, partner at Deighton Pierce Glynn, and Counsel Anthony Jones of 4 New Square, Jemima Stratford of Brick Court Chambers and Nikolaus Grubeck of Monckton Chambers are instructed by the first interveners’ in the case Amnesty International, Human Rights Watch and Rights Watch UK. The NGO’s were granted permission by the Court of Appeal to make written submissions in the case in July 2018 and have continued to document extensively the serious violations and use of British-made weapons in the conflict in Yemen. The case is also backed by Oxfam who was granted permission by the court to make submissions as the second intervener. The first interveners’ submissions concentrate on two key aspects of the appeal, setting out 1) the position under international law of the threshold of “clear risk” of a “serious violation of international humanitarian law” and; 2) the value and unique advantages of NGO, UN and third party reports used as evidence of violations of international humanitarian law.